Daniel Sansone received his Bachelor of Music Degree in Organ Performance from the State University of New York at Fredonia, studying with Dr. John Hofmann. Daniel also holds a Master of Music degree in Organ Performance and Literature from the University of Notre Dame. While at the University of Notre Dame, he was a student of Dr. Craig Cramer. Daniel has held numerous church positions including serving as Director of Music and Liturgy at St. Ignatius Loyola Cathedral in Palm Beach, Florida and serving as organist at St. Mary’s Cathedral in Portland, Oregon. Daniel also worked in the Office of Campus Ministry at the University of Portland in Oregon, and served as adjunct faculty in the Performing and Fine Arts Department, teaching organ and harpsichord. Daniel has performed organ recitals throughout the United States including the Basilica of the National Shrine of the Immaculate Conception in Washington, D.C., St. Paul’s Cathedral in Pittsburgh, and has appeared as guest organ soloist with the Peabody Concert Orchestra, the United States Naval Academy Brass Ensemble and the Charleston Symphony Orchestra. He has also performed as organ soloist on the Baltimore Bach Series. He is a past recipient first-prize winner of the Arthur Poister National Organ Playing Competition sponsored by the Syracuse New York Chapter of the American Guild of Organists. Daniel served as Director of Music Ministry at the Cathedral of Mary Our Queen, serving the Archdiocese of Baltimore. Daniel oversaw a comprehensive Liturgical Music Program, and was Artistic Director of the Cathedral Music Series. He assumed this position at the Cathedral of Mary Our Queen in November of 2000. In January of 2014, Daniel was appointed Director of Music and Liturgy for the Cathedral of St. John the Baptist, serving the Diocese of Charleston, South Carolina. Daniel directed and accompanied the Cathedral Choir and Cathedral Choristers for the Cathedral’s Sunday 11:15am Solemn Choral Liturgy, as well as other parish liturgies throughout the year. Daniel established and directed the Cathedral Men’s Schola, chanting the various Propers of the Roman Liturgy using original notation, as well as the Cathedral Schola, specializing in music from the Renaissance Period and earlier. Daniel served as Artistic Director for the Cathedral Concert Series, which featured a variety of musical offerings including the Charleston Symphony Orchestra and Chorus, the Cathedral of St. John the Baptist Choir, and the Taylor Festival Choir which was the professional choir-in-residence. The Cathedral also hosted a number of performers on the annual Piccolo Spoleto Festival including the L’Organo Recital Series of which Daniel is a committee member and past performer. 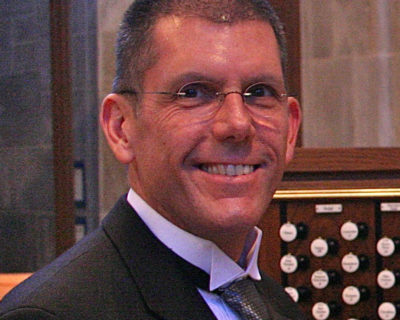 He is a member of the American Guild of Organists, the Chorister Guild and the Royal School of Church Music.